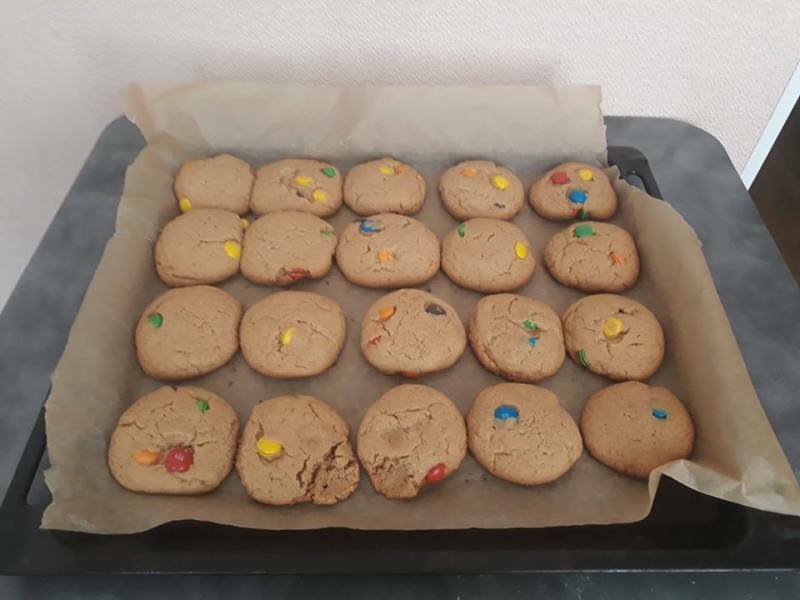 These are your pretty standard peanut butter cookies (with or without add ins is your choice). The great part about this recipe is that it is made of things you have laying around the house, comes together without a mixer, takes maybe 10 minutes to prepare, and it’s basically fool proof. Perfect for last minute parties and baking with kids or just making for a special treat. Preheat the oven to 175°C and line a baking sheet with parchment paper. In a mixing bowl, cream together the butter and the sugars. To the sugar add the rest of the ingredients and mix just until everything is completely combined. Stir in any add ins gently. Scoop the dough into 20-24 evenly sized balls then press each ball down into a fat circle with your hand or the bottom of a glass. Bake for 12-15 minutes and allow to cool completely before eating.